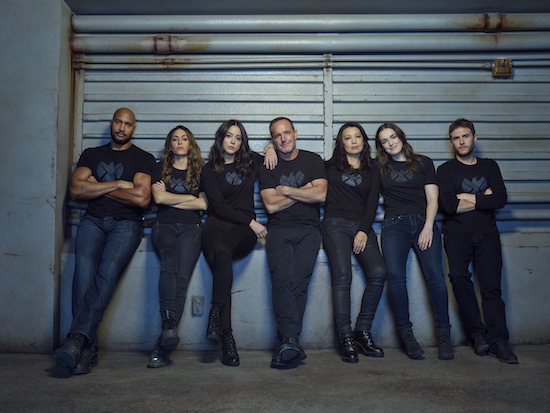 SHIELD stars Clark Gregg, Ming-Na Wen, Chloe Bennet, Iain De Caestecker, Elizabeth Henstridge, Henry Simmons, and Natalia Cordova-Buckley. The season 5 finale airs Friday, May 18. Per a source, the upcoming year will consist of 13 episodes.